The Finnish astronomical association, URSA, held the event called "Tähtipäivät" - "The Star Days" in the Sámi cultural centre Sajos in Inari, 20-23 March 2014. 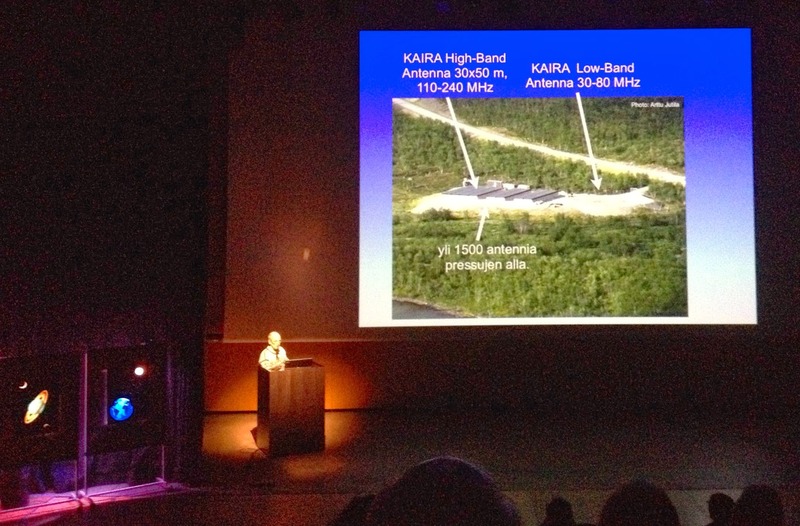 Esa Turunen, the director of the Sodankylä Geophysical Observatory, gave a public lecture in the event. 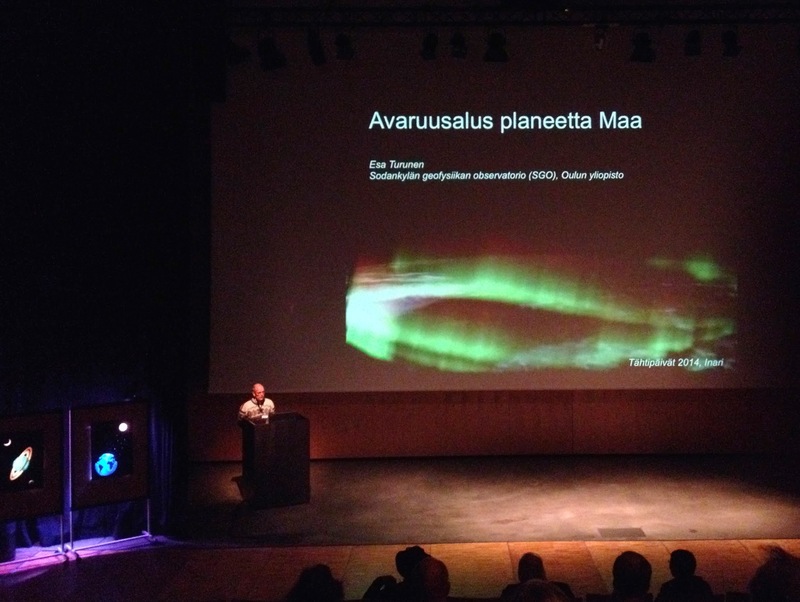 The talk was titled "Avaruusalus planeetta Maa" - "Spaceship Planet Earth". The audience consisted of Finnish professional and amateur astronomers as well as on a number of other interested persons (including myself). 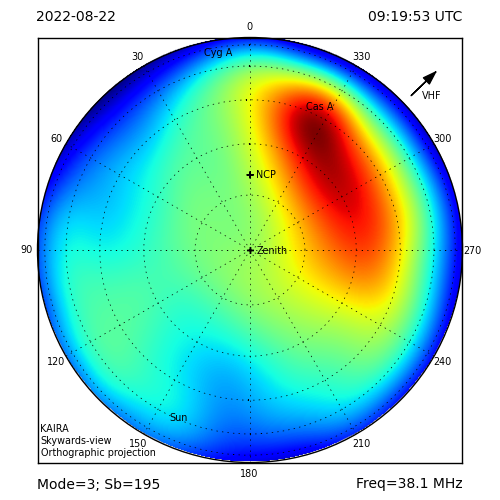 Of course, Esa talked about KAIRA as it is, in a sense, the biggest radio telescope on Finnish soil. 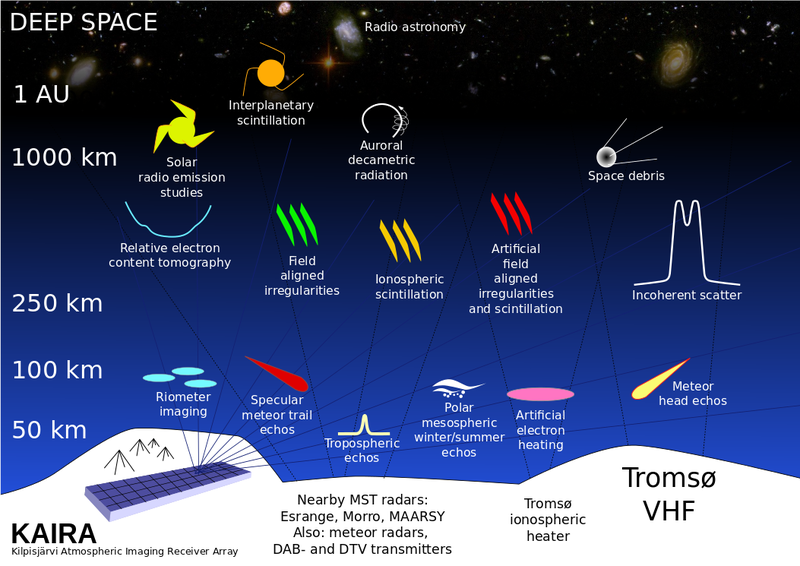 Hence, today we feature two photos from Esa's talk!